No to Canadian Soldiers in Iraq and The Illegal Bombing of Syria for ‘Regime Change’! The Canadian government announced on Friday October 3 that it would join the U.S.-led international coalition to combat the armed group Islamic State (IS). The government plans on sending six CF-188 Hornet fighter jets with approximately 320 crew members and other personnel; three refuelling aircraft (a CC-150 Polaris and two CP-140 Auroras) and a transport plane, including roughly 280 crew members and other personnel. On September 25, officers from the Valcartier military base said they were ready to be sent to the front to combat IS. To provide a semblance of prudence and legitimacy to the operation, the Harper government said that Canada would not participate in ground combat and that it would attack IS solely where it has the consent of the relevant government. The announcement makes a mockery of the Parliament that has been called to vote on Monday a fait accompli. 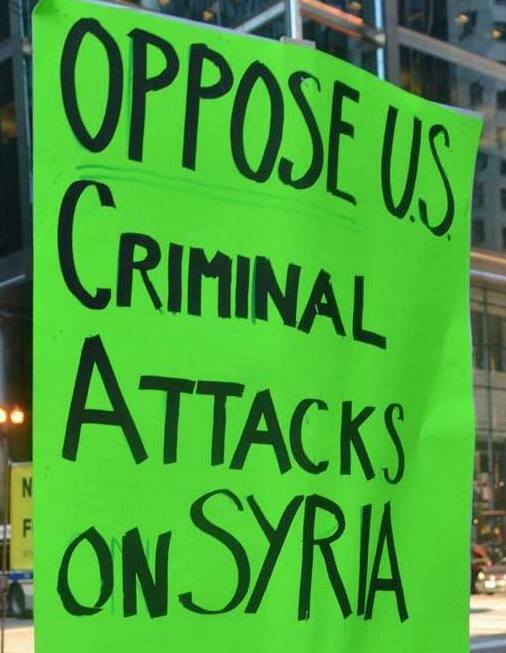 The fraudulent arguments given to justify the aggression cannot hide the fact that the foremost practioners of state terrorism are the U.S. and other members of the aggressive NATO alliance, such as England, France and Canada, as well as Israel. For example, U.S. special forces and drones have been bombing Pakistan without the consent of that government. 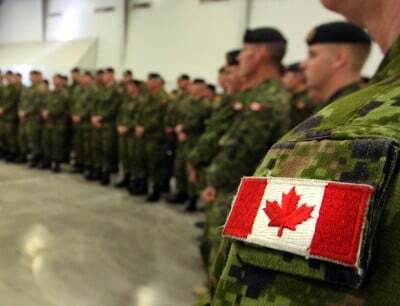 Canada has also permitted the total integration of its armed forces into the U.S. armed forces. The government claims that by joining the U.S.-led coalition, Canada’s national interests will e protected from the danger posed by terrorist organizations, groups which the U.S. and others have created. Support for state terrorism in the name of opposition to terrorism is self-serving indeed. It is also a fact that Canada is once again joining an action that runs counter to all international norms and UN principles. Based on present UN regulations, when the Security Council remains seized with a matter, a member State of the United Nations is not permitted to go to war. The Security Council remains seized with Resolution 2178 concerning the threat posed by international terrorism and the Council blocked the call for a U.S. invasion of Syria to bring about regime change. However the U.S., Canada and others continue to implement their military aggression against that country under the cover of opposing a dictatorial regime. The countries responsible for this aggression claim that weak and destabilized governments give rise to terrorism and that intervention is needed to stabilize the situation! It is the U.S. imperialists who do not permit the peoples of the world to establish governments and international arrangements which uphold and promote peace and stability. They use all manner of nefarious means, from death squads to assassinations and outright invasion, to prevent any arrangement in support of nation-building that contributes to the solution of problems in a manner that favours the peoples. It is only when people take firm hold of their destiny and are able to exercise their right to be that problems can be solved. Far from defending positions of principle, Canada has joined a disinformation campaign asserting that the problem is an extremist Islamic threat and that Canada is one of the areas “at risk.” This is to hide the fact that these terrorist groups are the creation of the U.S. imperialists who now have lost control of the situation and to cover up attempts at regime change against governments that refuse to come under U.S. dictate. The real aim of this mission is to control the natural and human resources of all the countries of Asia, Africa, Latin America and the Caribbean. Meanwhile, the merchants of death who sell arms and participate in war production become rich while social programs are cut and worldwide the peoples suffer from the death and destruction brought on by war, as well as famine, disease and poverty. The situation requires all peace-loving people to take a position of principle in defence of peace and international security and humanitarian principles. This means demanding that Canada end its participation in U.S. aggression and wars. It means organizing to defeat the Harper government and for an anti-war government that uses all avenues possible to be a force for peace, in particular the United Nations, to block U.S. aggression which can only lead to another world war. No to Canadian Participation in All Wars of Aggression!